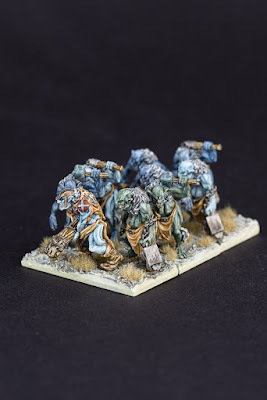 Wandering through world, these beast mercenaries join the battle of orks or chaos armies. Sometimes for gold, more often for food and joy of killing. 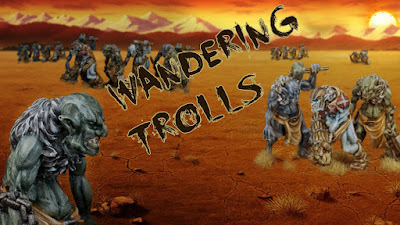 Dear players, of smaller scale wargaming - Trolls present Trolls! 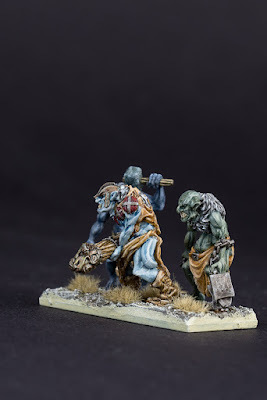 Trolls are made of resin, tall 20-22 mm from heel to hunched head. These beasts will be towering above puny humans as they demolish ranks of your enemies. We are increasing the range of units of Army of Erebos - chaotic marauders of North. 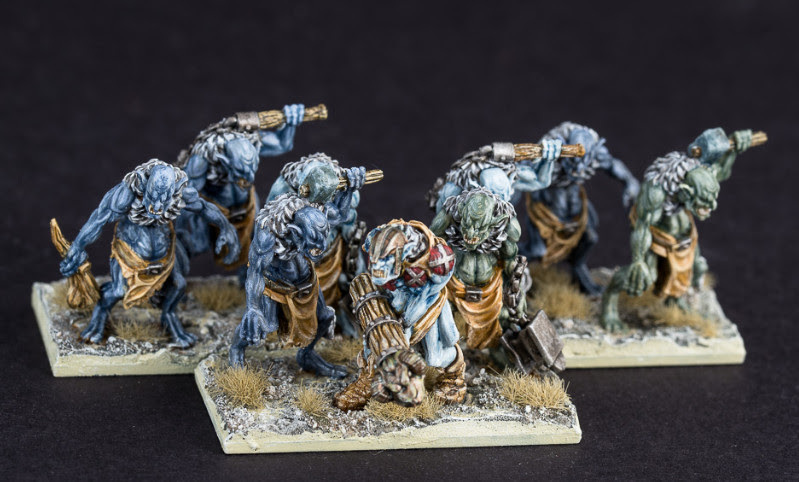 Models are designed for 10 mm scale armies, but can be used in other scale games- as giants in 6mm or ghoulish/greenskinish creatures in 28 mm. Packing comes in small paper box sealed with colour label. One set contains one unit of trolls - it means nine miniatures - one as leader of the unit. There are four different designs + mentioned leader. now with trolls in offer, please proceed directly to Trolls Mercenaries station.